Comment: Abraham’s servant was tasked with one job – to find a wife for Isaac. He was given parameters and strived to work within them. He prayed to God for guidance in fulfilling his task. Upon finding a women who fit the parameters, Abraham’s first response was to stop and offer thanks to God. He was able to recognize this moment was a blessing from God. During much of our lives, we are just going through the motions. We sometimes forget to acknowledge God’s role in our lives. At this point in the summer, most children will be getting bored or worn out from traveling. They will be seeking something new and exciting or rest. Whatever they are seeking, we can remind them to be grateful for where they are now and for finding what they are seeking. 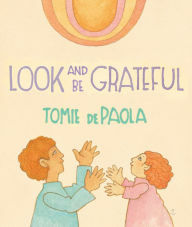 In Look and Be Grateful, Tomi DePaola reminds us how important it is to have gratitude for the simple things in life. The simple words and illustrations invite the children to think about the things they have in their lives and to be grateful for them. The scripture and this book remind us young and old to be grateful and acknowledge God in our lives. Comment: This text from Romans recognizes the inner conflict Christians face between doing good and living in the Spirit while also living in the world. We have all had experiences where we know the right choice and we really want to make that choice, but we end up making the wrong choice. There are a variety of reasons why this happens. 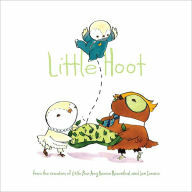 In Little Hoot, we see a young owl, who is growing up and figuring out what it means to be a good and respectable owl. He has examples from his friends and family. This owl is doing a good job at learning the ways of the world and how he is to behave as an owl, but he struggles with his bedtime. Little Hoot wants to go to bed early like his friends, but owls do things differently. Owls stay up late. We are invited in to see Little Hoot as he struggles with these different world views. As Christians, we run into struggling to be in the world and not of the world. Paul is reminding us that we are going to mess us, and we need to rely on Jesus Christ. Comment: Jesus commands, “Come to me, all you that are weary.” These words are comforting to someone who holds onto worry, has anxiety, or is just tired. Even children fall into this category. Maybe a child is anxiously awaiting the start of a new school year with worry about making new friends. Maybe the child has been running all summer, and is exhausted and needs rest. Maybe the child is holding on to a difficult situation that has him or her emotionally drained. At any point, these words are for the young and the old. These words from Jesus give us permission to let go. Wemberly always worries. Wimberly Worries illustrates many of the things she worries about. Her newest worry is starting school. At school, she finds a friend who understands her. Her new friend worries often also. As the two begin to do things together, Wimberly is able to let go of her worries; she feels lighter and has more fun. We have a friend who understands our worries and how they affect us. Jesus invites us to let go of our burdens and worries and to rest in him. Thank to Union Presbyterian Seminary alumna Elizabeth Boulware Landes for writing the Lectionary Links this week. Lectionary Links (RCL): July 9, 2017 by Storypath is licensed under a Creative Commons Attribution-NonCommercial 4.0 International License.